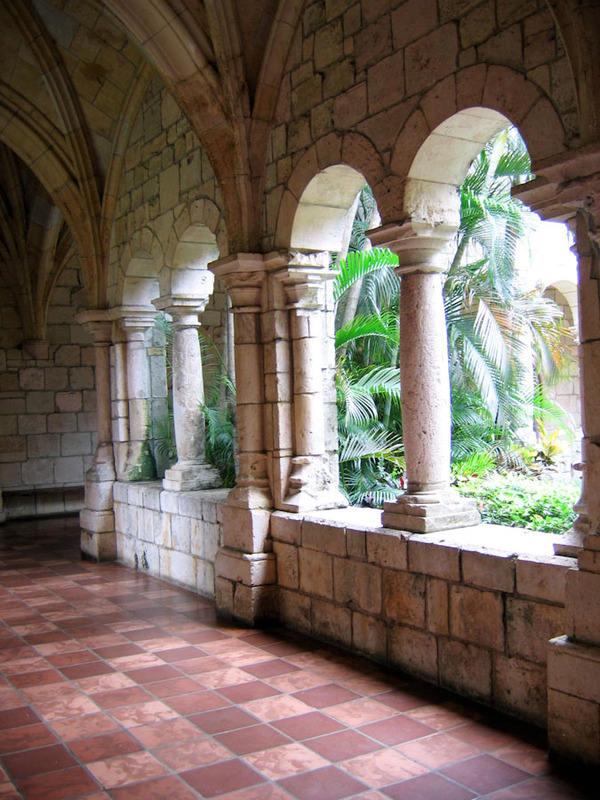 Description: View of a cloister in the Ancient Spanish Monastery. Cistercian monks who orginally inhabited the monastery believed their lives should resemble the life of St. Benedict as closely as possible. This included performing manual labor and field work each day. In fact, the Cistercians became the leading agriculturists of their time and can be credited for much of the farming and commercial success of western Europe during the Middle Ages. They were known for the progress and improvements of farming methods during this time as well as for technological advances in metalwork. In addition to agriculture, the monks had a successful cloth and wool trade. Even in today's world, Cistercian monks continue to produce goods needed in society such as food products or even ink jet cartridges!